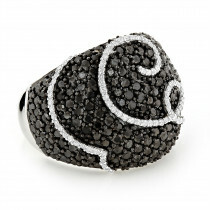 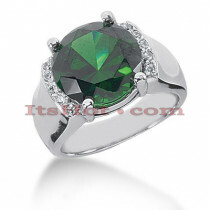 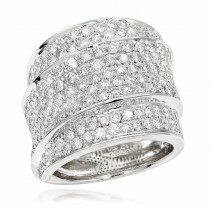 Luxurman Women's Rings! 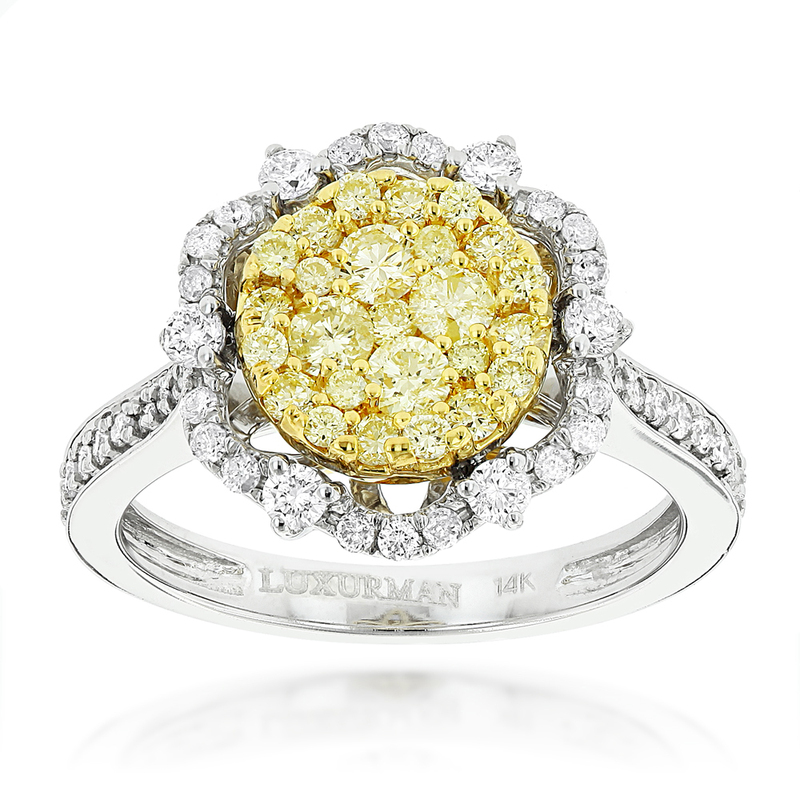 This White and Yellow Diamond Flower Ladies Ring showcases 1.2 carats of dazzling white and yellow diamonds masterfully pave and prong set in 14K solid gold. 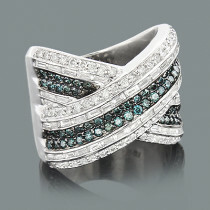 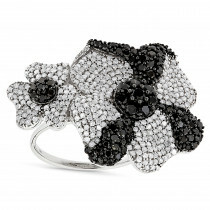 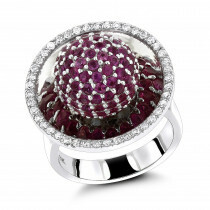 This cocktail flower ring featuring gorgeous design and can be purchased as a set. 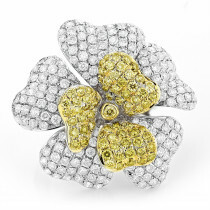 Matching white and yellow diamond flower earrings and pendant are available below. 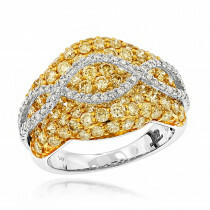 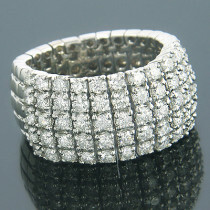 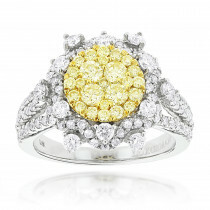 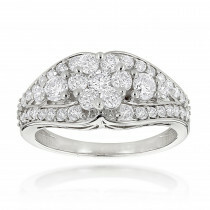 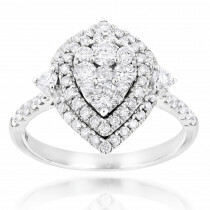 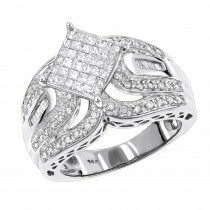 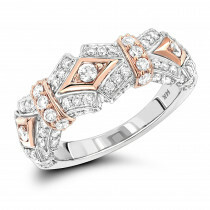 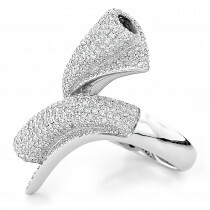 This beautiful ladies diamond ring is available in 14K white gold, yellow gold and rose gold.